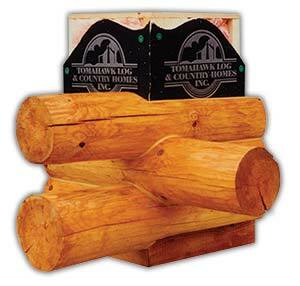 The Tomahawk Log Homes log siding system, Energy-Log™, is designed to offer the authentic appearance of a full-log home, along with the ultimate in energy efficiency. 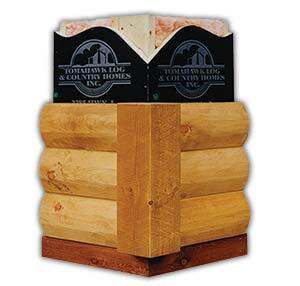 Constructed with 2-by 6-inch stud framed walls, a vapor barrier, 6-inch fiberglass insulation (R 21), 1-inch structural insulated sheathing (R 5.5) and your choice of six different styles of half-log or cedar styles, our Energy-Log™ log siding meets the Department of Energy's requirements for Energy Star compliance. 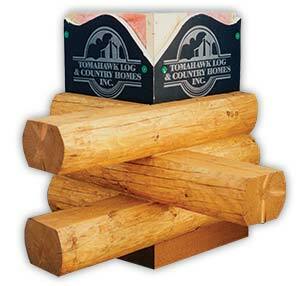 Our log siding also eliminates inherent issues associated with full-log construction, such as warping, twisting and settling. 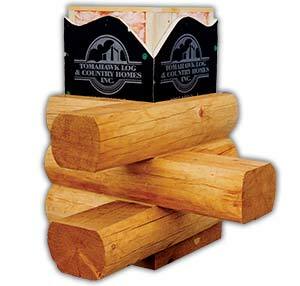 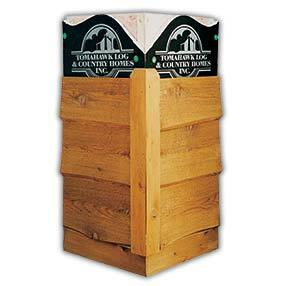 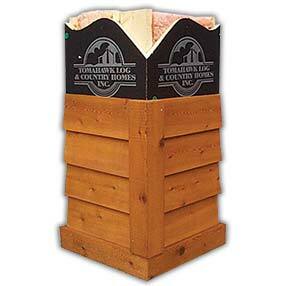 All logs used in our log siding system are hand hewn, dip treated twice and air/kiln dried. 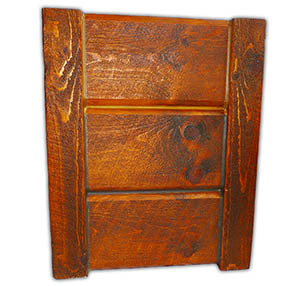 Another advantage of Energy-Log™ log siding is the ability to select a variety of interior finishes. 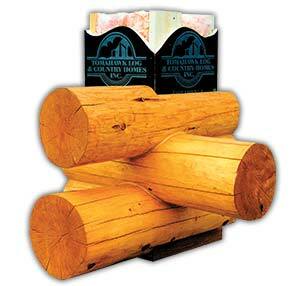 Our options include log rafters and collar ties, half-log or Chalet-Log interior log finishes, rough cut beams, knotty pine, wainscot, drywall, or any combination you prefer. 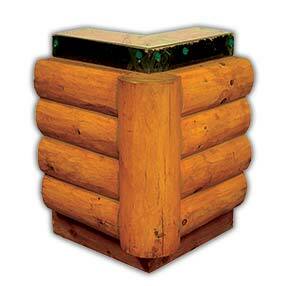 All log beams, collar ties, one-cut rafters, and knotty pine cathedral ceilings are included as standard log home package items.